Please contact us if you want your band added, or any details about your band below changed. The SJO is a unique mixture of student musicians, experienced professionals, and those with non-musical day jobs, but who have played in various bands as a leisure activity. 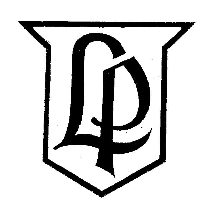 The professionals ensure that the standard of the band is kept high. On a gig there may be up to seven saxes, six trumpets and four trombones, plus the rhythm section comprising piano, guitar, bass and drums. The music played by the SJO is not the usual range of big band standards. Nevertheless the tunes soon become familiar to audiences. As well as Ian’s music, there are compositions and arrangements by Tubby Hayes, Thad Jones, Stan Tracey and Ken Wheeler among others. Former musical director Paul Busby has written several charts featuring various members of the band. 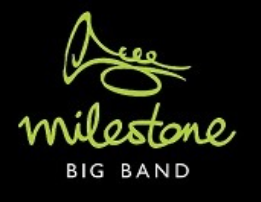 The Milestone Big Band is a 17-piece big band based near Gatwick Airport, regularly performing music from the Masters of Big Band through to contemporary jazz, funk and Latin. 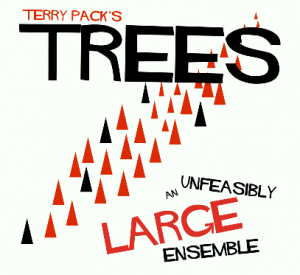 Trees is the brainchild of Brighton based bassist and composer Terry Pack. An ‘unfeasibly large ensemble’ performing an eclectic mix of contemporary and groove-based compositions, Trees is now an inclusive and community based group comprising up to 40 musicians at any time and augmented by guest professional musicians keen to take part in one of the most exciting new musical projects in and around Brighton. Imaginative, fresh arrangements of classic tunes fuse seamlessly with innovative compositions by the bandleader and band members alike. This fantastic big band, based in Sussex, UK, performs works by the masters of big band music, (Duke Ellington, Count Basie, Stan Kenton and even some Glenn Miller). They also play the finest jazz, swing, funk and latin arrangements by contemporary writers including Sussex based jazz composers Simon D’souza and Paul Busby. 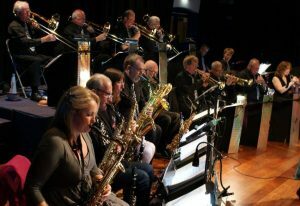 The Brighton Big Band enjoys playing a wide spectrum of big band material from the immortal music of Glen Miller, through Count Basie, Duke Ellington, Thad Jones and Mel Lewis to Gordon Goodwin, Stevie Wonder and Steely Dan and of course the occasional Lennon and McCartney tune. Come along to one of our gigs and enjoy the swing band in full stride. We usually play with a guest vocalist which extends the range of material played even further. 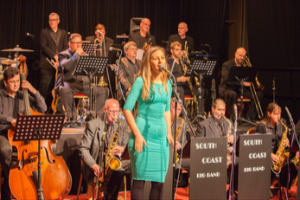 The South Coast Big Band are an exciting 16-piece band comprising of some of the best jazz & swing musicians on the South Coast. The band appears at jazz clubs, pubs & other venues; concerts & festivals. 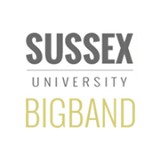 The Sussex Universities Big Band is an events band comprised of musicians from the Brighton and Sussex Universities. Based at Sussex University in Brighton the band plays at a wide range of events each year from university balls to weddings and private parties. 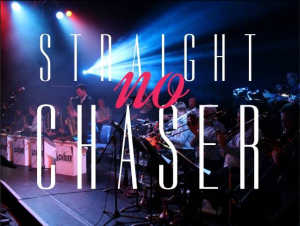 We are available for hire to play at any event and provide extremely competitive rates for a professional full scale big band. 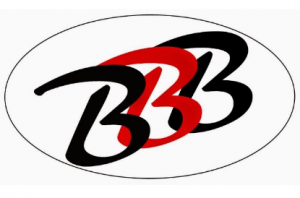 Specialising in recreating the authentic style of swing ensemble playing the band benefits greatly from the extensive knowledge that both these highly experienced professional musicians have gained throughout their careers playing in the top professional big bands in the country. Sounds of Swing is an 18 piece big band led by trumpet player Chris Tanner and featuring the vocal talents of Suzanne Cornford. Comprised of the standard line-up of 5 saxophones, 4 trumpets, 4 trombones and a rhythm section the band has a huge repertoire of classic numbers from the swing era and beyond. Our singer Suzanne can also provide a collection of the very best contemporary music to give a complete entertainment package for your event. The band has a wide repertoire of music, and covers all styles from Glenn Miller to James Last and Count Basie to Duke Ellington. 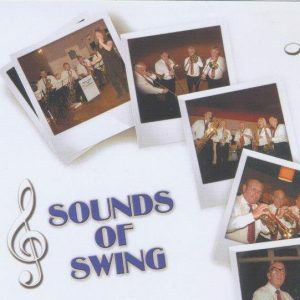 All in all, the band has 5 different libraries, and is always able to find the appropriate music to suit the occasion; Jazz, Swing, Dixieland and Ballroom Dance music are the Bands’ favourites, with a dash of Country and Western.